Welcome to buying guide to help you choose the Best Cordless Miter Saw for your needs. We discuss and review several excellent battery-powered miter saws for all of your woodworking projects. I think one of our recommendations will be right for you. If you were to ask me which would be the best cordless miter saw, my immediate answer would be go for either Makita or DeWalt. Both these manufacturers are industry leaders and are probably the best when it comes to cordless tools. Though this would be mere opinion and is based, primarily, on my affinity to these brands. When it comes to cordless tools, sticking with one brand goes beyond just a loyalty to that particular brand. If, for example, you’re a die-hard yellow and black DeWalt guy, you already have a bunch of DeWalt cordless tools. It then makes sense to stick with the brand, you’re already using the same batteries and there are many practical advantages to using the same battery for all your cordless tools. For newbies to cordless tools, I’ll cover the practicalities of using battery technology in more detail after reviewing the products. I’ll also give some valuable insight into choosing the best cordless miter saws, for those who need some help in making the right decision. While the brand that you choose is of great importance, that’s not the beginning and end of it all. We all use our tools for different purposes. It therefore goes without saying that a contractor won’t have the same opinion as a specialized woodworker, crafting custom furniture for an elite market. Basically, the best cordless miter saw for one guy, may not be the best for another. Prices will differ greatly. In part this will be brand specific – some brands are more expensive than others. It will also depend a lot on features. A compound miter saw is more sophisticated and will, naturally, be more expensive. Not everyone needs this and it will, therefore, be a waste of money for some. For others, this may be crucial. Blade size, power, and accuracy will be of varying importance, depending on your requirements. So, when reviewing the best cordless miter saws, I’m going to try put all of this into perspective. 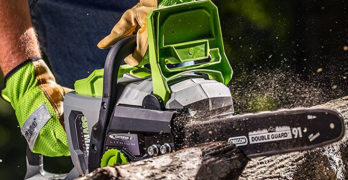 Out of the four great cordless miter saws that we’ve selected for this review, each will appeal to a certain individual. My aim is to help you decide, with certainty, which cordless miter saw is going to be the best for your unique circumstances. Best cordless miter saw if you already own Makita batteries and tools. Exceptional quality cordless miter saw. Battery & charger sold separately. Includes : Blade, dust bag, vertical vise, wrench, and triangle. Makita was the first tool manufacturer to introduce cordless, battery-powered hand tools. It took more than a decade for the other top brands to catch up. For this reason, the first cordless tools that I owned were from the Makita lineup. At that time, Makita batteries and chargers were the best by far. Whether this is still the case, is debatable. Many feel that the DeWalt FlexVolt battery is now the best, and I tend to agree. Though more about that later when I review the DeWalt 120V cordless miter saw. While the prices for most of the cordless miter saws in this review are fairly similar, the Makita XSL05Z is the most expensive. That would lead one to hope that it is the best of the bunch. In some respects, it does offer more than the others. Though it would be a tough call to say which, really is the best cordless miter saw in this review. Much of this will depend on what you’re looking for. All of the best cordless miter saws now use brushless motors and this an excellent way to improve efficiency and prolong the working time that you get from your battery. Naturally, you have the added convenience of never needing to change the brushes. Though the sophisticated Makita LVT system, together with one of the best brushless DC electric motor, takes extended battery time to a higher level. How it actually works is a mystery to any of us, that’s for the clever guys at Makita to understand and I trust their engineering brilliance implicitly. What it all boils down to, is that you can get around 270 cuts from a single 18V 6AH lithium-ion battery. It’s not a very large battery and this helps bring the total weight of the Makita down to a very easy to manage 14.6 LBS. What I find a little disappointing though, is that the Makita XSL05Z, which is already the most expensive of the lot, doesn’t include the battery or charger with your purchase. If you already own a lot of Makita 18V cordless tools, this isn’t such a big deal, you’ll already have a charger and will probably own several batteries. If you don’t, this means you have to spend even more on the battery and charger. Though, this rather minor quibble, is all I can find to complain about. Another great electronic innovation is the automatic speed control that keeps the blade RPM and torque constant at all times. This is great when you cut through knots in the wood and the blade suddenly has to labor to cut through the extra density of the wood. The Makita XSL05Z is a woodworkers dream. The 6½” blade (arbor ⅝”) is not the biggest but, then again, many might prefer a smaller more compact saw for jobsite ease of portability. You end up with a cutting capacity of 1¹³⁄₁₆” X 3⅝” at 90° and 1¹³⁄₁₆” X 2⁹⁄₁₆” at 45°. Which is perfect for moldings and similar popular miter saw tasks. It has miter adjustments to the left and right up to 52° and can also bevel to both the left and right (0° – 46°). There are indent stops for the most common miter angles – 15°; 22.5°; 30° and 45°. So it provides everything that the best compound miter saw has to offer, with the exception of a sliding rail to increase your cross cutting ability. You’re also able to buy an aluminum cutting blade for this saw, so it’s not just for woodwork. A couple of extra features that are not all that common, may just convince some folks that the Makita could be their best choice. It has a laser, which makes lining up the blade perfectly simple and accurate. It also has a great LED light on a flexible stalk for improved visibility. I like the job piece clamp which, like the rest of the machine is immaculately crafted in aluminum. This makes it much easier to cut tricky moldings that can easily slip out of position. I also like the perfectly machined aluminum table and easy adjustments for the fence, as well as the table and blade angles. The Makita is a wonderfully easy miter saw to use and will save you heaps of time. The dust collection bag is another great addition, a practical solution for when you don’t have a dust collection vacuum on site. There’s no denying that Makita is one of the top tool manufacturers. They are one of world leaders in battery technology for power tools, and this gives them the advantage over many others in this market. They really have done a lot of R & D into not only the batteries themselves, but also their cordless tools to increase the usable power that you get. As far as overall quality and customer service go, I cannot fault these guys in any way. One of the best cordless dual bevel compound miter saws. Overall, Dewalt has really outdone themselves with the new FlexVolt system (learn more). Versatile : Use it cordless or plug it in with the 120V AC adapter. ✓ View or download the MANUAL for the DEWALT DHS716AT2 FLEXVOLT miter saw. The DeWalt DHS716AT2 FlexVolt cordless miter saw is a little cheaper than the Makita XSL05Z. Ordinarily, I wouldn’t place too much emphasis on the minor price difference. They’re both top brands and worth paying for. But this DeWalt model is a 12” compound miter saw, so it the blade is almost twice the size of the 6½” Makita. While some will prefer the lightweight portability of the Makita, the larger blade certainly is more versatile with almost double the cutting capacity. Furthermore, the DeWalt kit includes 2 X 60V Max FlexVolt batteries and a dual charger, you have to buy the Makita battery and charger separately. You’ll need a minimum of two 60V batteries for the DeWalt, because it uses two batteries connected in series to obtain the 120V needed. Admittedly, the DeWalt doesn’t include the handy LED work light. Though, you can get this as an optional extra. Even then, the extra cost for the light won’t negate the cheaper price. Especially when you take into account that the purchase price includes two batteries and a charger. Bottom line, you’re getting great bang for your buck in choosing the DeWalt DHS716AT2. This makes it the pick of the bunch for me and I consider it to be the best cordless miter saw, any way you look at it. I’ve been a big fan of the DeWalt FlexVolt system since it was launched a while back. The FlexVolt battery is backward compatible, so it can be used with any of the existing 20V Max tools. This means that you can upgrade to the new 60V or 120V tools and still use the same battery for your older tools. What I like even more about this 120V FlexVolt miter saw is that it can be plugged into the mains and be used as a corded tool. You’re getting the best of both worlds in one miter saw. As one would expect from DeWalt, this is a superbly machined tool with an excellent aluminum table and fence rails. The cam lock adjustment for your miter adjustment is another cool feature that is common to a lot of DeWalt tools. It makes one-handed, quick settings an absolute breeze. You have a miter adjustment of 45° to the left and right, as well as a left and right 45° bevel angle adjustment. The Makita has a slight advantage here with the over-angle adjustments that can be useful in some situations. Of course, the 12” blade allows you to do so much more. For vertical baseboard cuts, placing it against the fence, you have a cutting depth of 6½”. For 90° cross cuts, you have a 10” capacity, a 2” X 8” bevel cut capacity (2” X 10” with the back fence), and a 4” X 6” miter capacity. This allows you to do some heavy-duty cutting into large pieces. The powerful 120V brushless motor, with a no load speed of 3800 RPM, certainly has the power to cope with this type of work. It will chew through hardwood without working up a sweat. There’s very is very little chance of any tear out, the carbide blade provides a perfectly smooth cut. One area where it can’t match the little Makita, though, is that the DeWalt is designed for woodwork only. So it doesn’t have the ability to cut aluminum. I’m not sure if it’s possible to get an aluminum blade form other manufacturers that will fit this miter saw. The DeWalt has an accurate guidance system for easily lining the blade to you cutting line. Battery working time is excellent, with up to 289 cross cuts. Considering the large 12” blade this exceptional. The battery charge time is great. This saw uses two 60V batteries, whereas the Makita uses only one 18V battery. In this context, the Makita battery and LVT system is more efficient. Even when you account for the extra power needed to run the bigger DeWalt. From my experience, no one has been able to beat the rapid charge times provided by Makita. So this might be another area where the DeWalt doesn’t quite match up. Though I have no real evidence to prove this – it’s a general observation that I’ve made over the years. The DeWalt miter saw also has a dust collection bag, but doesn’t have the handy workpiece clamp that you get with the Makita. It should be easy enough to find an aftermarket clamp for this model, if you feel the need for one. Because the DeWalt is a large 12” miter saw and uses two fairly heavy batteries, it’s not the best when looking at portability. Though I wouldn’t consider its 44-pound weight to be unmanageable. Most of us wouldn’t have much of a problem lugging it around. I’ve made a lot of direct correlations between the DeWalt and Makita cordless miter saws. This is really because these two machines are my personal favorites. While the Makita has some great additional features, the DeWalt comes up tops in my book. This is mainly because of the extra capacity that you get from the much larger blade and I’ve become quite a fan of the FlexVolt batteries. There will be those that disagree and I’m sure many will prefer the Makita for its great portability, and it can do a few things that the DeWalt can’t. Solid mid-range miter saw. Good value for the money. Ergonomic lightweight design weighing only 24 lbs. Easy to transport, weighing just 24 lbs. Many might feel the opinions that I’ve expressed toward the Makita and DeWalt miter saws are overly biased, favoring these brands. I’ll admit that I’m not the most objective when it comes to voicing my preference for certain brands. Take it from whom it comes. I’ve been using power tools for decades and have found a few brands that I depend on. So, when I say that the Ridgid is almost as good as the previous two that I’ve reviewed, this a complement. It’s quite a bit cheaper than the more prestigious brands and, for the most part, the Ridgid R48607K can hold its own among the best cordless miter saws. For a very reasonable price, you get all the bells and whistles with your purchase. This includes an LED blade guidance system and a work light. The 7¼” blade places the Ridgid neatly between the Makita XSL05Z and DeWalt DHS716AT2. This gives you a maximum cross cut (90°) capacity of 2” X 8” and 2” X 6” at 45°. That’s pretty good for one of the most portable cordless miter saw that weighs only 24LBs. The brushless motor with a no load speed of 3650 RPM performs very well, as does the 5AH 18V lithium-ion battery. While I don’t have proven runtime specs for this battery, I sincerely doubt that it will match the battery performance of the either the Makita LVT or DeWalt FlexVolt system. In truth, I don’t think any battery can match these two – they’re about the best that you can get. The simple, yet effective blade guidance system works quite well, though many might prefer a laser. It works by using the blade to cast a shadow below the LED light to indicate the cutting line. The aluminum table and fence are well-made, but I have a few minor issues with these. I’ve heard of several people complaining that the fence isn’t that well calibrated, so you could experience tear out occasionally or a slightly rough edge to your cut. Another thing I don’t really understand is why they only made the fence adjustable on one side. Since this is a dual miter saw, one would want a fence that can be adjusted to both sides. I suppose, being a cheaper miter saw, it is going to require some small compromises. For the rest, it’s a very competent and user friendly cordless miter saw. It has miter angles to the left and right, with positive stops at 0°; 15°; 22.5° and 31.6°. The bevel adjustment which is also to the left and right has indent stops at 0°; 33.9°; 45° and 48°. So it does the same job as the more expensive miter saws and seems to be a well-made and durable piece of machinery. Because this a relatively cheap cordless miter saw and is, by no means junk, I have to give it due credit. The Ridgid R48607K has a lot going for it and one can easily overlook the few imperfections, when you compare the price to other cordless miter saws with similar features and capabilities. Contractors will certainly appreciate the light weight and relatively compact design. The 7½” blade is a very common size, so it’s readily available. It also has a good cutting capacity. For the home shop, this is a fantastic deal, not many hobbyists want to spend as much as one would for brands like DeWalt, Makita. At the same time it’s a very versatile and portable jobsite miter saw, making it a low-cost option for contractors. Although the Dewalt Flexvolt miter saws are superior this is an excellent sliding miter saw for very little money. As far as value you goes, this is exceptional. A true workhorse. Deserves your consideration for one of the best cordless miter saws you can buy. A true workhorse. Very reliable and well-made. Many might find the DeWalt DCS361M1 cordless miter saw to be an incredible deal. You should be able to find it a price that’s lower than the Ridgid R48607K, which is already a cheap option for this caliber of tool. What’s really great is that, at this amazing price, you’re getting a tool that carries the prestigious DeWalt name and its impressive history. There is something that should be pointed out before we go any further. The DeWalt DCS361M1 forms part of their older 20V Max range of cordless tools. So while it has some great features, the older technology isn’t quite in the same league as the FlexVolt tools. While you can use the 20V/60V battery with this miter saw, it remains a 20V tool without the advancements that come with new range. The most notable difference being that the DCS361M1 doesn’t use a brushless motor. It’s, therefore, less efficient. So the battery isn’t going to give as much working time and it’s not quite as powerful as the mighty 120V DeWalt cordless miter saw. One of the big benefits is that this is a sliding miter saw, so you’re able to make cross cuts over a greater width. The downside is that while it’s a compound miter saw, able to make both miter and bevel cuts, it will only do this to one side. So you can only adjust your angle to the right of the blade. The miter table and fence are as perfect as one would expect from a DeWalt saw and the cam lock system is a great time saver, making it easier to work with perfect accuracy. The 7¼” (⅝” arbor) is a very versatile size, combining compact portability with a good cutting capacity which is further aided by the sliding rail. For 45° bevel cuts, you’ll have a capacity of 2” X 8”. When performing 45° miter cuts, you have a maximum width of 5½” and 8” for 90° cross cuts. That’s fantastic for a saw of this size which weighs only 31.6LBs. With oversized markings and 11 indent miter angle stops, it’s a very convenient saw to use. It also has very handy workpiece clamp and a dust collection bag. You’ll get a battery and charger with your purchase, adding further value to a very reasonably priced item. If you don’t mind the fact that you’re not buying the latest technology, the DeWalt DCS361M1 is an amazing deal. So the motor is less efficient, this won’t be a big deal if you use a lot of DeWalt cordless tools, because you’ll probably have several 20V Max batteries and you can make use of the backward compatible FlexVolt batteries. While it only miters and bevels to one side, it’s the only saw in this review to have a sliding arm. So, in the end, you’re getting a really fantastic DeWalt cordless miter saw at the same price as you’d pay for a cheaper brand that possibly won’t give you as many amazing features. Not to mention, the high quality standard and dealership service that we’ve come to trust from DeWalt. Basically, this is a high-end tool at a low-end price. We’re moving toward a time when cordless tools are taking over the power tool market. Lithium-ion batteries have made a big impact on this technology. These batteries have the best power to mass ratio and you get a lot of power from a relatively small battery. Lithium-ion batteries can be used and stored at low charge, which extends their lifespan. They also perform better than any other battery when the ambient temperature is less than ideal. Though they will hold their charge better and have an improved life expectancy when used at around 77° F. No battery likes extreme temperatures, lithium-ion batteries are just less affected by hot and cold conditions. Though the batteries are only half the story. 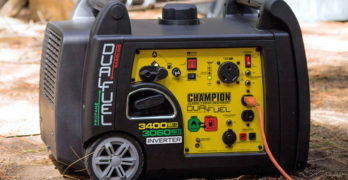 Over the past few years, battery chargers and the tools themselves have become more advanced. Brushless electric motors and electronic power management systems have done a lot to extend the working time that you get from your battery. Chargers are now also able to recharge the battery much faster and cooling systems along with electronic charge management, make them more practical and prolong the lifespan of the battery. We can expect more improvements to come as technology moves very fast these days. As it is, the battery tools that we have today are very advanced machines. They’re often as powerful as corded tools and have the convenience of being used anywhere without endless extension cords or a site generator. Though even the best cordless tools have a limited working time. No battery can go on forever without needing to be recharged. Even the best rapid chargers won’t recharge a battery as fast it will discharge if you’re using the tool at full power continuously. So, if you’re using your cordless tools all day long, you’re going to want at least one extra battery. On a busy site where you’re using quite a few cordless tools, you’ll need several extra batteries. You always want standby batteries on charge while you’re working. This way you can swap out batteries as they run flat and you won’t be waiting for long recharge times. If you use a lot of different cordless tools, you want to stick with one brand. In some cases, you might be using two brands, because not all manufacturers make the same cordless tools and one might have a particular tool that is much better than another. In the end, one brand is ideal, but more than two is not a good idea. If you have a lot of different brands in your cordless tool collection, you’ll need different batteries for each brand. It’s very seldom that a battery from one tool brand will work with another. This is when things can get out of hand. For one thing, you’ll need the correct charger for each battery type, so you could end up with toolbox full of battery chargers. Because you’re likely to need several standby batteries, you will need to buy extra batteries for each type of tool. That will become extremely expensive. If all your cordless tools use the same battery, you’ll be able to manage your battery usage better and get away with fewer batteries. If you’re buying a miter saw for the first time, it might seem tricky to decide which features are important. So I’ll provide a basic overview of these tools in a bid to help the beginner in your search for the perfect miter saw for your needs. If you want to make miter and bevel angles at the same time, a compound miter saw is the only tool for the job. A regular miter saw only has a table that moves, allowing you to set your cross cut angle for miter cuts. A compound miter saw allows you to adjust the angle of the blade as well. So you can set the blade for the desired bevel angle and the table for the miter angle. You’ll be able to make a perfectly accurate cut with a single plunge. With any tool purchase, I always recommend choosing an established brand with a solid reputation. You pay more for these tools. But you know from a company’s reputation, that you’re buying a quality tool that’s well-engineered for accuracy and durability. Most importantly, you’re assured of service and spare parts for years to come. All tools need maintenance and replacement parts as the years go by. More often than not, it’s virtually impossible to get spares for unknown brands and you end up having to replace a machine that you should have been able to repair. Often, buying too cheap, ends up costing you more in the long run. Miter and bevel settings will usually be between 0° and 45°. Some saws allow for larger angles, up to about 53°. For some, the over angle ability won’t be important, but this does allow you to compensate for joins where one piece has not been cut at precisely the right angle. If you’re renovating an old building, you might find moldings that require an angle greater than 45° when adding to an existing molding. Being able to adjust your miter and bevel angle is also not essential, but it saves a lot of time and makes things less complicated, so it reduces the risk of an error. If your blade or table only moves to one side, you’re only able to cut an angle in one direction. To make cuts for the opposite side, you’ll need to flip the piece over so that you’re cutting from the opposite side. This can become a hassle, particularly if you cutting a lot of pieces. There’s also a chance that might end up working from the wrong side, this often happens when people are doing multiple cuts and lose concentration. You’ll end up having to discard a piece that has been cut incorrectly. Other things to look at are the angle markings on the miter saw. Large markings are easier to read and give you the best chance of getting precisely the angle with no margin for error. A cam lock system can be beneficial. It allows you to lift the cam to unlock the table, blade, or fence with one quick motion and then lock it just as easily. A cam lock only requires that you lift a lever and depress it again, this is a lot easier than using a screw knob. Sliding rails allow the saw head to move backward and forward along a rail. This means you’re able to cut through a piece that is wider than the blade diameter. A regular plunge saw will only give you about half the diameter of the blade as your cutting width. Your depth will always be determined by the blade size, but this is seldom as great as your width. While sliding rails extend your cutting capacity, some can be inaccurate and may need excessive maintenance. If you’re going to choose a sliding miter saw, it’s important to buy a quality item. Cheap tools with a sliding arm are going to end up being a massive disappointment. Generally, if you want a more complex tool, stick the high-end brands that have a reputation for quality and good engineering. Most of the best miter saws have a port for a dust extraction system and many have the option to use a bag as well. The benefits of dust collection is self-explanatory, sawdust goes everywhere and it’s a big job to clean up after you’re done. Most will offer a blade guidance system, either as standard or as an optional extra. This can be very helpful in reducing the time it takes to line your blade up to the cutline. Other extras like a work light or work piece clamp are nice to get with your purchase. Though, I wouldn’t consider these items to be deal-breakers, it’s just nice to get the added value of extras like this included in your purchase. One can always buy these items separately if you really want them. There are many universal lights and clamps available for all types of power tools.